Tech stocks have been killed lately. Thanks to rising rates pressuring equity valuations, trade concerns dampening the outlook for global growth and regulation threatening to upend secular growth trends, once red-hot tech stocks have recently found themselves in Wall Street’s garbage pile. At one point during the recent stock market sell-off, the Nasdaq dipped into correction territory. But, is all lost for tech stocks? Will rising rates, tariffs and regulation spell the end of a decade bull run in these stocks? I don’t think so. When you think about technology and all the areas it’s spreading to, you start to realize that the technology growth narrative is still in its early innings. Think about the cloud, and how workloads across the globe are shifting at an accelerated pace to the cloud. Think about artificial intelligence (AI), and how every company in the world now is trying to employ data-driven AI solutions to improve operations. 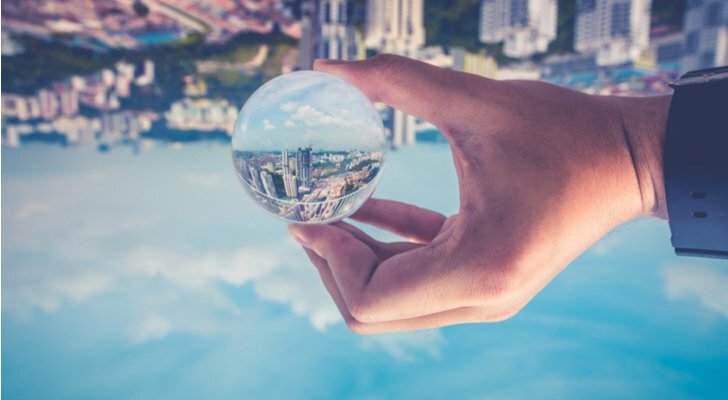 Think about digital engagement and the Internet of Things (IoT), and how every consumer in the world is becoming increasingly dependent on technology for everyday things. No matter where you look, technology is the future. As such, tech stocks are the future. Over the next five to ten-plus years, technology stocks will continue to move substantially higher as technology inevitably plays a bigger and bigger role in our society. From this perspective, near-term weakness in tech stocks is nothing more than a healthy correction that will ultimately present a compelling long-term buying opportunity. But, not all tech stocks will rebound with equal velocity. So, which tech stocks should you consider buying on this dip? Let’s take a look at 15 beaten-up tech stocks that have compelling upside potential following this recent dip. At the top of this list is digital ad giant Facebook (NASDAQ:FB). In addition to broader tech weakness, Facebook stock has been dragged down by regulation and usage concerns. As of this writing, Facebook stock trades nearly 30% off recent highs. But, not all is lost at Facebook. Regulation hasn’t moved in any direction that would imply an adverse financial impact in the foreseeable future. Meanwhile, usage on the main Facebook app is dropping, but usage across the whole Facebook ecosystem is rising, and this speaks to Facebook’s unprecedented dominance in social media. There are 6 one billion-plus user apps in the world. One is China. One belongs to Google. The other four are under the Facebook umbrella. Thus, so long as ad dollars continue to flow into the digital space, Facebook will continue to be a big revenue and profit grower. At just 21X forward earnings, Facebook stock isn’t priced for big revenue or profit growth. Instead, it is priced at the same level as zero-growth Coca-Cola (NYSE:KO). That makes no sense. Eventually, sentiment will improve. 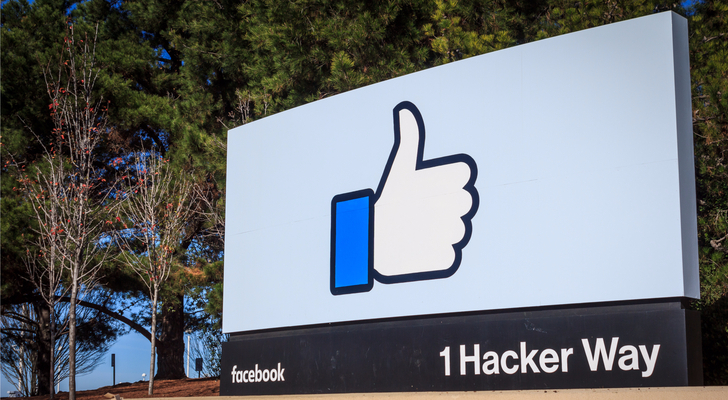 When it does, Facebook stock should rebound with tremendous velocity. 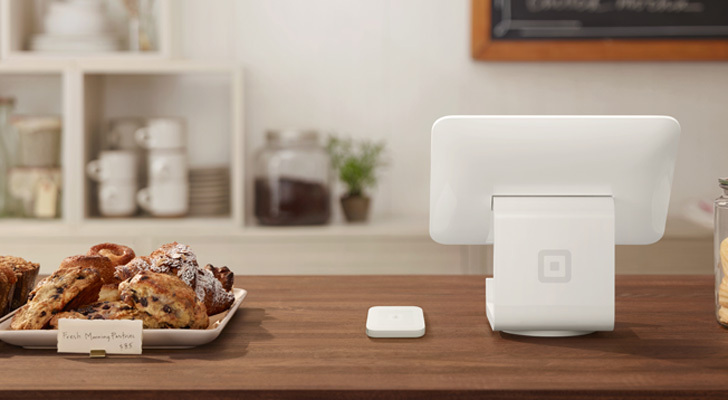 Digital payments processor Square (NYSE:SQ) was once one of the highest flyers in the tech space. But, it was also one of the biggest losers during the recent rout. At one point, Square stock was up almost 200% year-to-date. Since then, it has dropped more than 20%. Despite the correction, the fundamentals remain exceedingly favorable for Square. This is a company that has emerged as a leader in the secular growth digital payments space. The trend of payments going from cash to digital isn’t slowing, nor will it slow any time soon. Thus, so long as Square can maintain leadership, Square should continue to be a huge growth company. Recent numbers (30% GPV growth and 60% adjusted revenue growth last quarter) imply that Square is not just maintaining leadership, but also growing leadership. As such, this company promises to remain supported by huge growth. That huge growth simply isn’t priced into Square stock at current levels. This is a company that is attacking a multi-trillion dollar global consumer spend market. The current market cap is just $30 billion. Payment peers Visa (NYSE:V) and PayPal (NASDAQ:PYPL) have market caps of $300 billion and $100 billion, respectively. Thus, so long as Square can maintain its current growth trajectory, a $100 billion valuation looks likely in the foreseeable future. Another high-flyer that recently turned into a big loser is Amazon (NASDAQ:AMZN). The e-commerce and cloud behemoth was once up more than 70% year-to-date. Since then, Amazon stock has dropped more than 10% to levels not seen since July. 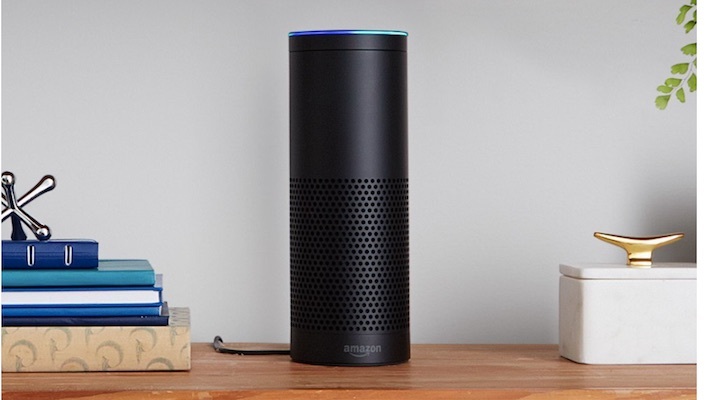 The fundamentals at Amazon remain as favorable as ever. The company’s e-commerce business continues to dominate the secular growth e-commerce space. Amazon Web Services has maintained leadership position in the cloud market, despite rising competition. The offline retail business is rapidly expanding, and projects to be much bigger within the next few years. The digital advertising business is ramping with exceptional pace, and reportedly stealing ad dollars away from Google. Above all else, Amazon’s profits and revenues are marching to new highs, meaning this company is growing into its valuation. The valuation on Amazon stock remains big. But, just looking at the forward and trailing multiples misses the big picture. In the big picture, given this company’s multi-faceted growth narrative wherein each facet has huge growth potential, Amazon could do about $150 or more in earnings per share at scale. You don’t need a big multiple on $150 in earnings to get to stock prices far above where the stock trades now. One of Wall Street’s favorite stocks in 2018 has been programmatic advertising leader The Trade Desk (NASDAQ:TTD). At one point, TTD stock was up nearly 250% on the year. But, broad tech weakness has stung this high-flyer, and TTD stock now trades nearly 20% off recent highs. During this selloff, nothing has changed about the fundamentals supporting TTD stock. Those fundamentals are very, very strong. Programmatic advertising is the future of advertising. As more and more ad dollars flow into the digital channel, advertisers are increasingly turning toward solutions that optimize that massive spend. Programmatic advertising provides those solutions by leveraging data and AI to essentially get machines to efficiently buy ads. In this space, TTD has emerged as a clear leader. Thus, so long as TTD maintains this leadership positioning, the company will be a huge grower over the next several years as programmatic advertising becomes the norm. Like many other tech stocks, TTD stock trades at a big valuation. But, when you consider that the global advertising market is marching toward $1 trillion and that TTD’s market cap is just over $5 billion, you start to understand why there is so much upside left. If TTD can successfully pioneer a revolution wherein every ad is programmatic transacted, then this is a company that could easily warrant a much, much bigger valuation in the long run. Streaming giant Netflix (NASDAQ:NFLX) went from hot to not hot, back to hot all within a few months. The takeaway is that Netflix stock is once again on fire, and that this uptrend should last. Netflix just reported robust quarterly numbers that easily topped expectations across the board. Importantly, sub growth smashed both Street estimates and management estimates. This shows that the secular transition powering Netflix (cord-cutting and streaming adoption) isn’t losing any steam. So long as this trend persists with exceptional momentum, Netflix stock will head higher. Bears always complain about valuation with Netflix stock. But, this company is the runaway leader in a huge market that is rapidly growing. That is a winning combination, and so long as this dynamic remains in place, the market will look at Netflix as a stock that can adequately grow into its valuation. 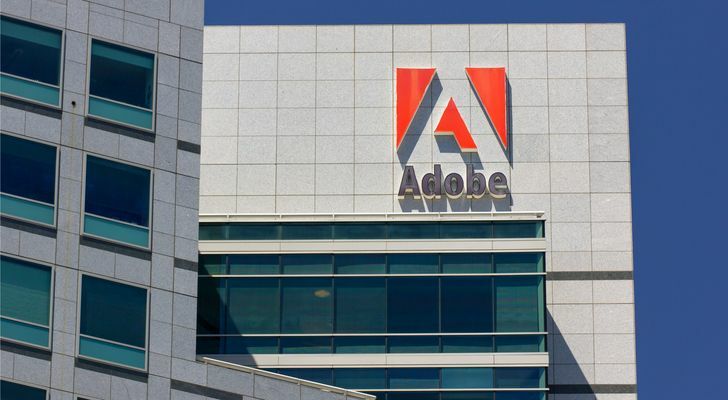 Creative cloud giant Adobe (NASDAQ:ADBE) has been a secular winner for several years now. Over the past five years, Adobe stock has risen by 400%. During that stretch, there have been corrections. Each time, those corrections were short-lived and ended with the long-term uptrend resuming. This recent 10%-plus downdraft seems like more of the same. The fundamentals supporting Adobe remain very strong. This is a cloud giant that is dominating a particularly important part of the cloud which I like to call the visual cloud. 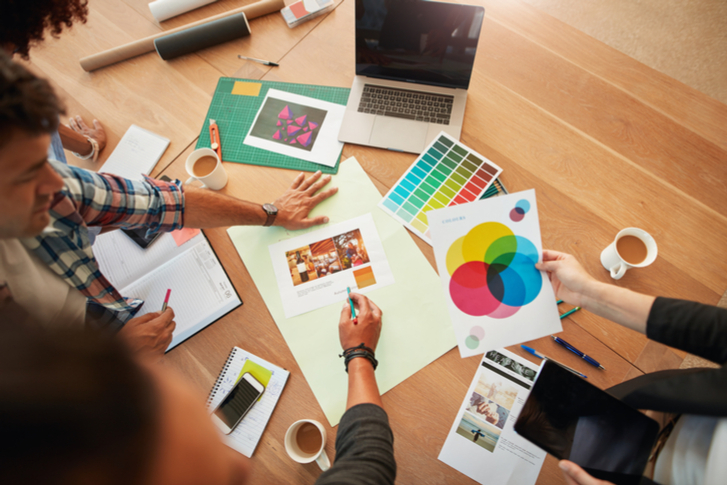 The visual cloud is essentially the part of the cloud that deals with visual-oriented solutions, like videos, pictures and graphics. In today’s visual-dominated world, the visual cloud is of increasing importance to both consumers and businesses. And, in this space, Adobe is rivaled by no one. Thus, as visuals have become increasingly important, demand for Adobe’s suite of products has grown, too. For a high-flyer, Adobe stock has a particularly attractive valuation. The stock trades at just 37X forward earnings, but this is a company that grew revenues by 24% year-over-year last quarter with nearly 60% profit growth. A 37X forward multiple for those type of growth numbers seems very reasonable. Much like Facebook, digital advertising leader Google (NASDAQ:GOOG) has been weaker for longer due to regulatory concerns. These concerns have caused material weakness in Google stock, and as of this writing, it trades 12% off recent highs. For all intents and purposes, Google is the backbone of the internet. Regardless of where regulation moves, so long as people use the internet, they will use Google. That is exceptionally valuable and implies significant longevity for the company’s digital advertising business. Beyond digital advertising, Google is jumping into next-gen growth arenas, like cloud, AI, smart home, IoT and self-driving. When you put all those growth initiatives together and layer them on top of a still 20%-plus revenue growth digital ad business, it becomes crystal clear that Google projects to remain a big growth company for a lot longer. This big growth simply isn’t priced in at current levels. GOOG stock currently trades at 24X forward earnings. But, revenue growth is above 20%, and that is before any of the big growth catalysts have arrived from AI, self-driving and IoT. Thus, this company should remain a 20%-plus grower over the next several years, and a 24X forward multiple simply doesn’t capture that growth potential. In its short-life as a public company, streaming device company Roku (NASDAQ:ROKU) has undergone some wild swings. There was the huge pop after the IPO, followed by a big drop. Then, there was the second-wind rally which drove the stock to all-time highs. Now, recent tech weakness has brought Roku stock to 20% off recent highs. Silencing out all the noise, the underlying growth narrative at Roku is quite promising. We all know streaming is the future. 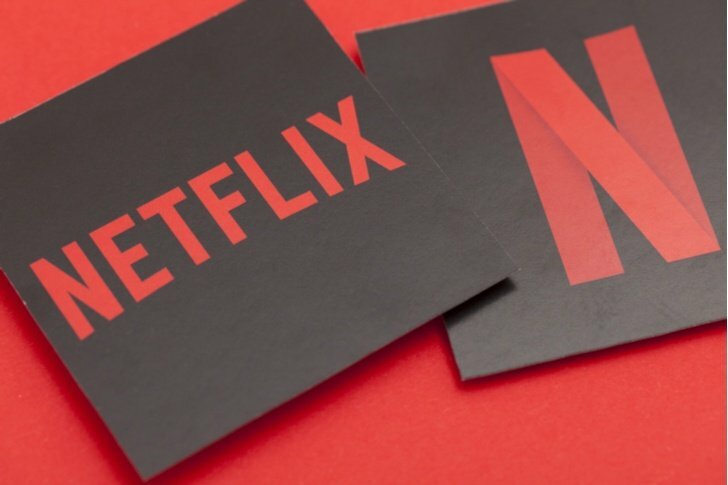 Netflix proved the business model, and now everyone and their best friend want in. As the streaming space becomes more crowded over the next several years, demand for a centralized box which aggregates all those streaming channels will grow. In other words, as streaming TV starts to look like traditional TV, you will start to see everyone have a cable box for streaming TV. Right now, Roku is the leader in this space, and projects to remain the leader due to content-neutrality. 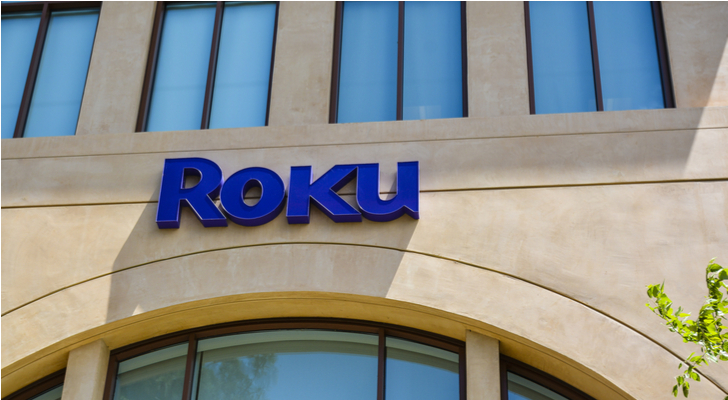 Thus, as the streaming TV space grows by leaps and bounds over the next several years, Roku stock will head higher, too. The valuation isn’t unreasonable when you consider the company’s addressable market. The current market cap is under $7 billion. The global advertising market is $1 trillion, and the global streaming subscription market is a nearly $100 billion and rapidly growing market. Roku is going after both of those markets. Thus, today’s $7 billion market cap seems anemic relative to opportunity. Much like Roku, iRobot (NASDAQ:IRBT) has been through some wild swings. You had the big rally in 2016 and early 2017, a big shake-out in late 2017 and early 2018, and a huge rebound in mid-2018. Now, you’re getting a minor correction. This minor correction is a buying opportunity. At its core, iRobot is the face of the consumer robotics revolution. Right now, that is all about robotic vacuum cleaners. Adoption rates of robotic vacuums in the U.S. have gone from zero up to roughly 10% over the past few years, and still have a long ways to go before they top out. 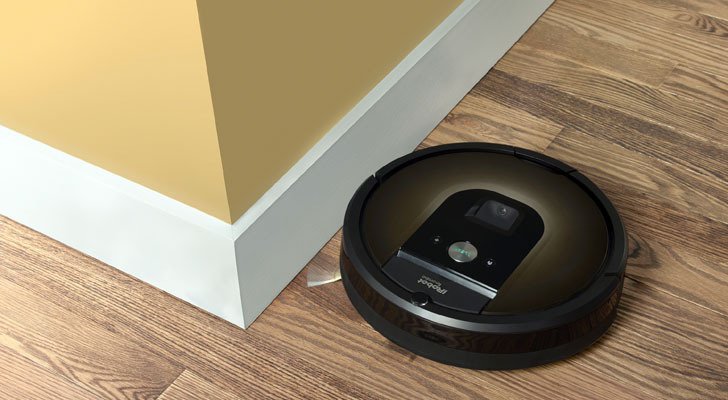 Thus, the robotic vacuum business alone has great growth prospects. But, you don’t own IRBT stock for the robotic vacuum business. You own it for what comes after, which is the mainstream adoption of consumer household robotics like robotic lawnmowers, robotic window cleaners, robotic meal prep, so on and so forth. If you put all that together, it is easy to see that this is a company which will sustain 20%-plus revenue growth over the next several years. Alongside margin expansion, you are easily talking about 25% earnings growth. After the correction, IRBT stock now trades at 35X forward earnings, which seems reasonable considering the company’s robust earnings growth potential. E-commerce solutions enabler Shopify (NYSE:SHOP) has been through its own wild swings, but the uptrend in this stock has remained resilient over the past several years. Three years ago, this was a $30 stock. Today, it is a $150 stock. But, today’s price tag is still off recent highs. This shouldn’t deter investors. Shopify is a great long-term growth company with tons of upside left. This company provides e-commerce solutions which project to be the modern storefronts. In other words, back when shopping was done exclusively in the physical format, every retailer needed a storefront. Today, every retailer needs certain e-commerce tools in order to efficiently sell online, and Shopify provides those tools. No one really rivals them in this space, and that means that so long as the e-commerce transition persists, Shopify stock should benefit from huge revenue and profit growth. The global e-commerce market measured $2.3 trillion last year and is projected to measure $4.5 trillion by 2021. Shopify currently controls 1% of that market today. Over time, as secular trends promote adoption of advanced e-commerce tools, you could easily see Shopify’s share grow to 5% or 10%. In such a world, you are talking about a five to ten fold increase in revenues and even bigger growth in profits. Such huge growth will inevitably power Shopify stock higher. As the robot revolution has spread into the medical arena, medical devices giant Intuitive Surgical (NASDAQ:ISRG) has roared higher. ISRG stock is up more than 300% over the past five years. But, the recent selloff has not been kind to ISRG stock, and it currently trades about 8% off recent highs. This minor correction is nothing to worry about. The company’s core da Vinci surgical system — which is essentially a robot — has benefited from robust demand over the past several years as the medical world looks to next-gen technology to improve outcomes from surgical operations. This has powered a strong growth narrative at ISRG characterized by 20% revenue growth and even bigger profit growth. Nothing about these fundamentals has changed over the past several weeks. Adoption of robotics in the operating room remains a secular trend. As such, ISRG stock remains a secular winner. Valuation is big, but it has always been big, and ISRG’s big growth justifies the big valuation. As such, in a long-term picture, this is a stock you want to accumulate on dips and hold for the long haul. This recent dip is an opportunity. The Stitch Fix shopping model is simply better than the traditional shopping model because it leverages data, technology, and curation to make shopping dramatically more efficient and convenient. As such, it will gain significant traction over the next several years, and as it does, Stitch Fix stock will likely head way higher. Global apparel sales measured around $1.7 trillion in 2017. Online apparel sales in the U.S. last year came in at $70 billion. SFIX controlled about 1.7% of that market. Assuming e-commerce penetration rates continue to grow, SFIX market share grows, and SFIX successfully expands internationally, you are talking about a company with a $5 to $10 billion revenue opportunity at scale. A conservative 1X sales multiple on that implies a $5 to $10 billion market cap down the road, versus a $2.5 billion market cap today. Digital-education platform Chegg (NYSE:CHGG) was once a shining star of the bull market. Year-to-date, CHGG stock was once up more than 90%. Since then, broad tech weakness coupled with a data breach have stung shares. Today, CHGG stock trades about 20% off recent highs. The data breach is mostly a non-event, and tech weakness won’t last forever. Meanwhile, the fundamentals remain robust. Chegg is pioneering an era of connected learning for high school and college students globally. In plain English, high school and college students often need help studying or help on homework. That is where Chegg comes in. For a subscription fee, they offer a plethora of academic assistance tools like tutors, step-by-step homework solutions, access to solution manuals, so on and so forth. This a huge market, and Chegg is tapping into only a small portion of it. There are 36 million high school and college students in America. All 36 million of those students could benefit from using Chegg as their connected learning platform. Today, though, Chegg only has 2.2 million subscribers. That means Chegg is tapping into only about 6% of its total addressable market. That is in the United States alone. Globally, the market is much bigger, so it is clear that Chegg has a long runway ahead for big growth. As such, Chegg stock offers an attractive long-term opportunity on this dip. 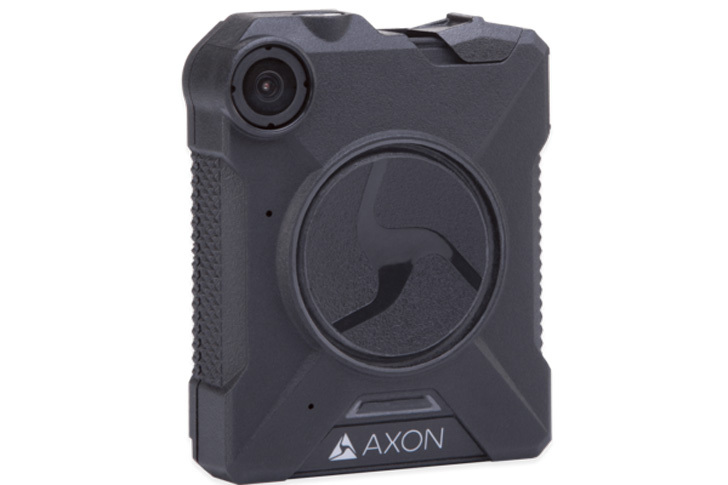 Law enforcement technology solutions provider Axon (NASDAQ:AAXN) has been one of the hottest stocks in 2018. At one point in July, AAXN stock was up nearly 200% year-to-date. But, the stock hit a road-bump with a less-than-stellar earnings report, and then broad tech weakness compounded the pain. Today, AAXN stock trades 20% off recent highs. Despite the correction, the long-term fundamentals supporting AAXN stock remain vigorous. Law enforcement agencies globally are outdated. They desperately need a technology makeover. They also desperately need to reduce police shootings and misbehavior, two hot topics which have eroded the public’s trust in police. Axon provides the best-in-class solutions to fix both of those problems and has essentially eliminated all of its competition through either acquisition or out-performance. As such, as this law enforcement tech upgrade narrative plays out over the next several years, Axon will be a big grower. The valuation on AAXN stock didn’t make much sense up at $70 in July. But, at $60 in October, the valuation makes much more sense. As such, I think this dip is an opportunity to load up at the right price on a company with tremendous long-term growth potential. Over the past several years, online dating has gone from niche and often awkward millennial pastime to a global norm for singles of all ages. Concurrent to that transition, online dating king Match Group (NASDAQ:MTCH) has morphed into a Wall Street favorite, running from $12 per share in late 2015 to $60 earlier this year. But, recent tech weakness has brought Match stock down. This isn’t anything to worry about. Online dating has broken out of its shell. A decade ago, this was a niche industry with a small user base. Today, social norms have shifted to not only accept online dating as appropriate but also deem it as effective and worthwhile. Match is at the forefront of this transition, with its collection of world-leading dating apps, including the red-hot Tinder. As such, as online dating becomes more of a global norm, Match stock will naturally benefit from increased ecosystem usage. The numbers here are pretty good too. I think the for-pay dating app pool will measure 240 million consumers globally at scale. Match only has 8 million subs today. Thus, this company has a big and long growth runway ahead, and that means the potential upside for Match stock from current levels is compelling. As of this writing, Luke Lango was long FB, SQ, V, PYPL, AMZN, TTD, NFLX, ADBE, GOOG, ROKU, IRBT, SHOP, ISRG, SFIX, CHGG, AAXN and MTCH. Article printed from InvestorPlace Media, https://investorplace.com/2018/10/15-tech-stocks-with-hidden-potential/.